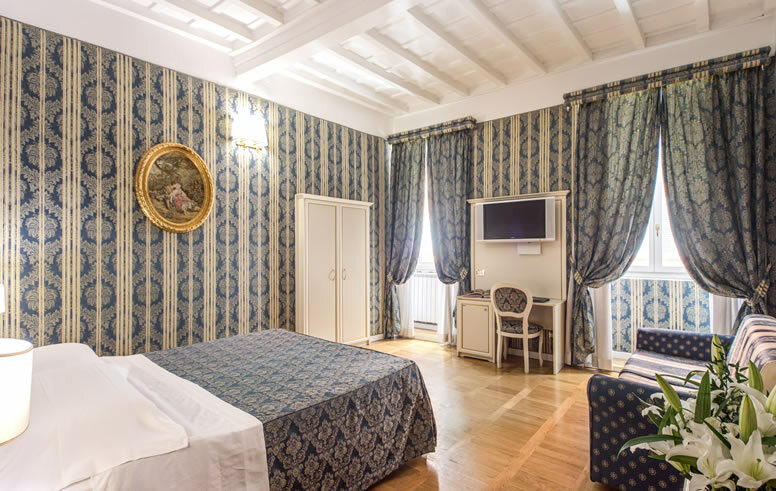 NON SMOKING ROOMS Our Rooms The Relais Fontana di Trevi has three room types available to guests: Matrimonial, Superior and Junior Suite, with exclusive view of the Trevi Fountain. 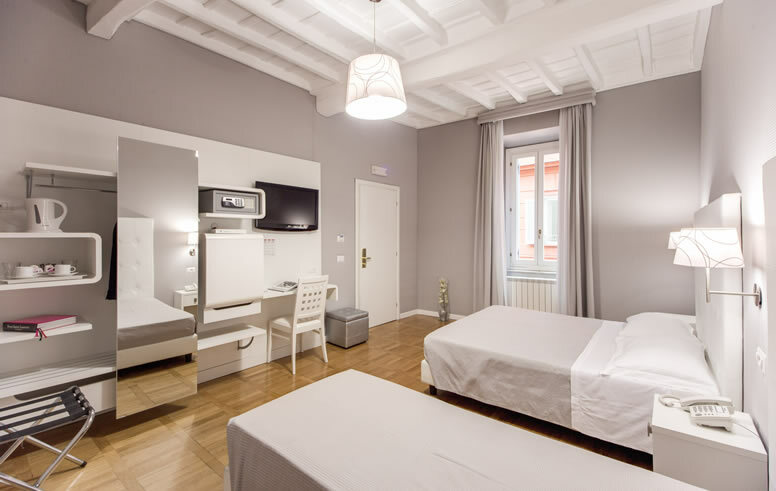 All rooms are non-smoking and offer air-conditioning, kettle, LED TV, free unlimited wi-fi connection, telephone and safe deposit box. Average room dimensions from 12 to 18 square metres. MATRIMONIAL ROOM Average room dimensions from 8 to 14 square metres, facing internal courtyard. 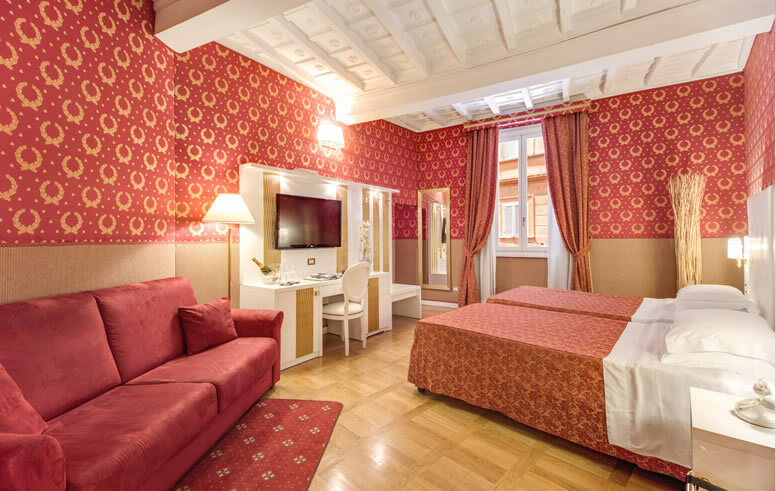 Room size very large - around 35 square metres, with view over the Trevi Fountain.